Star Wars Fan’s Choice Poll is Back! Choose the Next Black Series Figure! The Star Wars Fan’s Choice poll is back for 2016 and Hasbro has been kind enough to ask for feedback from our readers as to which iconic character you would like to see added to the lineup. The choices of the SWNN readership will be aggregated with those of the other participating sites in order to pick the finalists for the next Black Series 6 inch figure. 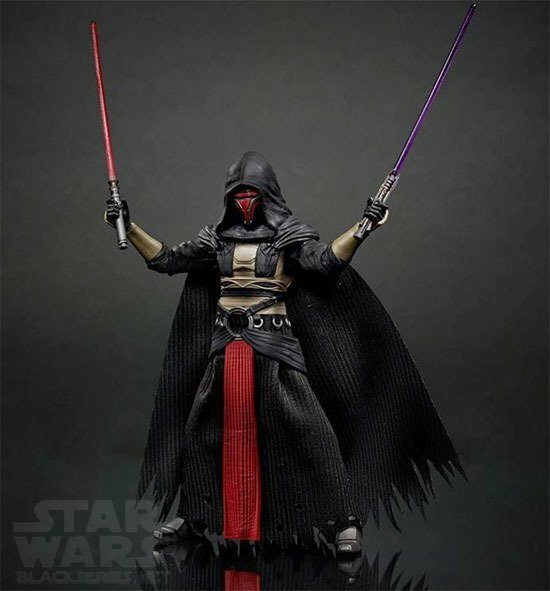 You’ll likely recall that Hasbro ran the same event last year which resulted in new figures for the winner, Darth Revan, and the runner up, Sabine Wren. So, who do fans want to see added to the lineup next? Is it time to expand the selection of characters available for The Force Awakens? If so maybe we see Lor San Tekka or Maz Kanata in the running. Maybe something from the new EU like Black Krrsantan or Admiral Sloane. Or maybe some old runners up from the films or legends EU such as General Grievous or Dash Rendar will finally get their time in the sun. It’s all up to you. So, if you want a say in what the next 6 inch figure in the black series will be, let us know in the comments. Please post in the comments the name of only one character. They must obviously be characters that do not already exist within the Black Series (IAT has a good checklist of everything that is already available here). Any additional choices after the first or characters that already exist will be disregarded. All Star Wars characters are allowed EXCEPT from Rogue One: A Star Wars Story. Any characters from the Star Wars Rebels or Star Wars: The Clone Wars animated series would be sculpted in the realistic style of the Star Wars: The Black Series line. The poll will stay open until Sunday, July 10th at which time the top six poll choices will be collected and provided to Hasbro for inclusion in their selection process. After the top choices are selected across all participating sites, a final poll will appear on the official site to select a winner. Also we at SWNN decided to give a prize to one of the commenters. We will randomly pick one of you, who will win a 6” Star Wars Black Series toy of your choosing. Let us know in the comments what your choice is.